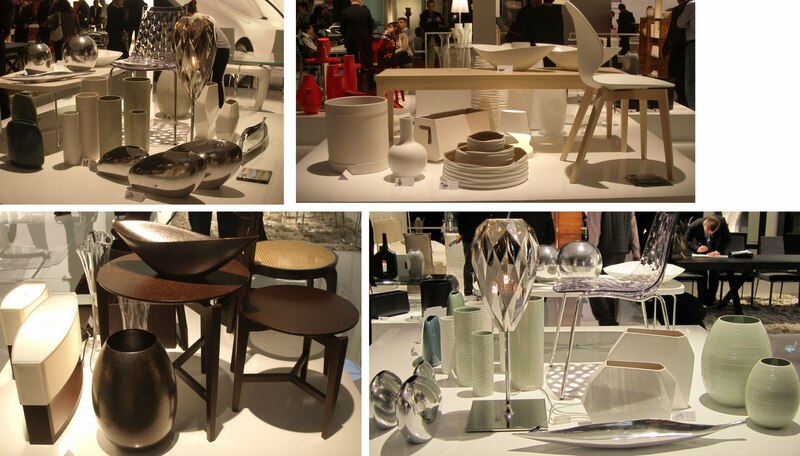 Carmen’s Corner: WONDERING ABOUT MILAN’S LATEST DESIGN TRENDS? 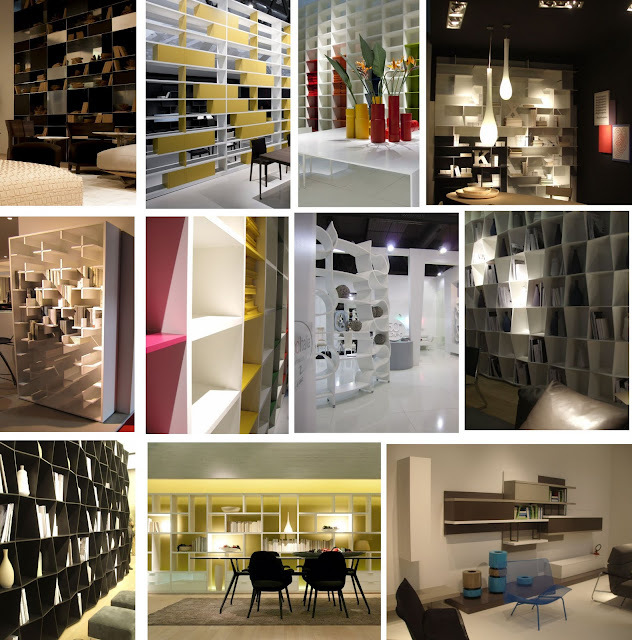 WONDERING ABOUT MILAN’S LATEST DESIGN TRENDS? I’m always super excited to attend the furniture & lighting show in Milan for several reasons including the fact that I feel home whenever I go to Europe :) Milan has long been regarded as the creative soul of the world in all design- fashion, lighting, furniture and every year this hub of creativity proves that style & function are top priority of any space. 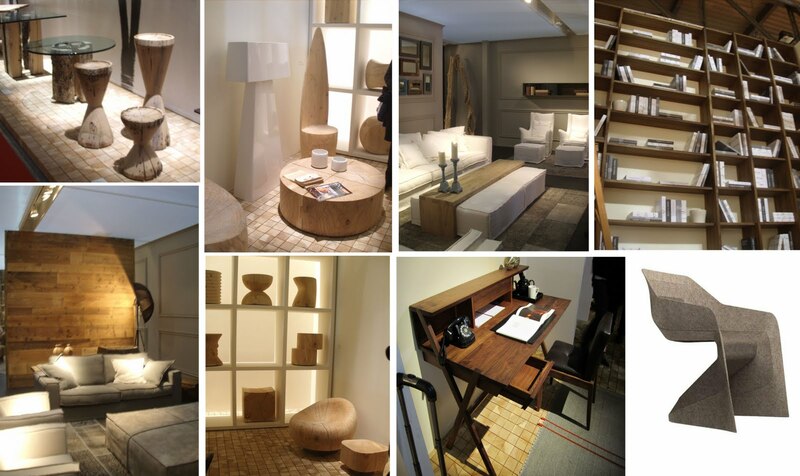 While at the show I could not help but wonder, what are the best design lessons from this year’s furniture fair, lessons that I can share with you and inspire you to discover new ideas for your condos space. This year it seems that most manufacturers are stepping away from the ordinary shapes and ‘same old same old’ contemporary ‘square lined’ furniture style. And the design trends predictions from the beginning of the year seem to be pretty accurate! To select just a few images from the hundreds of pictures I took was no easy task :)lots of design ideas! I’ll give you a quick tour of the most interesting pieces of furniture and room ideas. Shelving & bookcases are vibrant in colors and mix of textures- notice lots of color combinations within the same bookcase, a mix of wood grain and solid color, a tendency towards angled gables or even curved shelving. Lots of ideas for loft spaces, highlighting the height or the width of any space with shelving seems to be an easy task. Think of using any of these ideas in a condo den where the need of a home office mixed with a guest area function could be solved by using see thru or fully solid shelving. 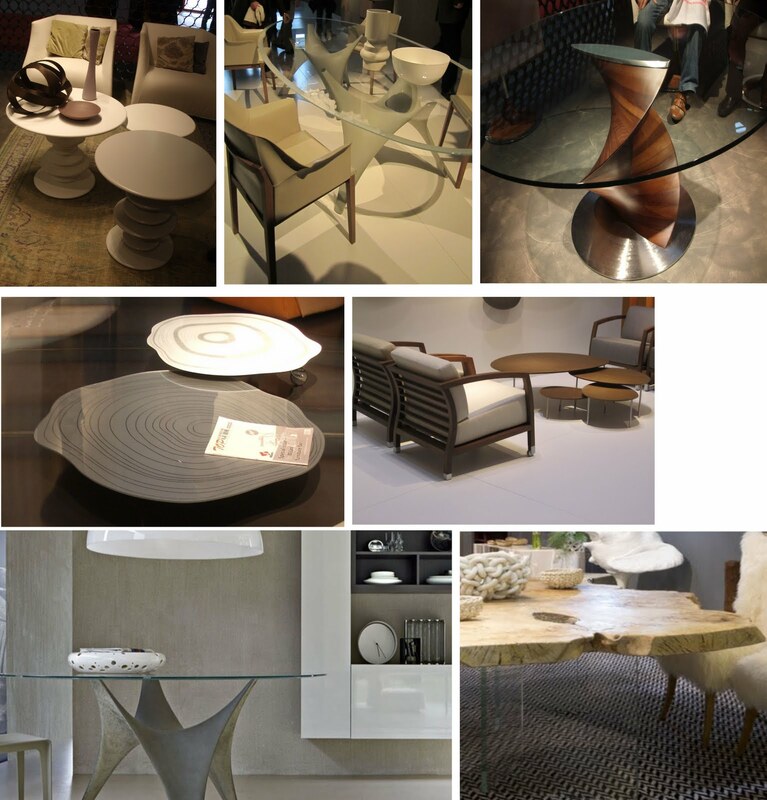 Tables- from coffee tables to end tables and dining, they seem to have shapes that are more organic. Twisted base tables work extremely well with glass top tables especially when highlighting the area rug in the seating or dining area. Also note the use of nesting end tables or clustered end tables used as coffee tables, what an easy way to provide a small space with layout flexibility! Tv units- take a look at this sleek sliding tv unit! why try to centre the sofa on the tv wall unit (hard to achieve in some intricate small condo space layouts) when you can actually slide the tv to be exactly where you need it- closer to the living seating area or to the dining area. Sustainable furniture- as one of the 2011 trends, I’m sure many of you will go for this style, especially when mixed with sleek white high gloss furniture pieces- a very interesting urban-nature inspired design style. One very interesting design was the stackable Hemp chair by german designer Werner Aisslinger. He is using a new technology in which natural fibers like hemp are molded under heat with an ecological glue creating a sustainable composite material. Color coordinated furniture and accessories- if you’re a fan of color coordinated accessories, these displays show how not only furniture but accessories are fully coordinated right from the start. I have to confess- this is how I like to design condo spaces as it makes the space more cohesive when one common element is found throughout- it could be the color, the texture, or the type of material used. 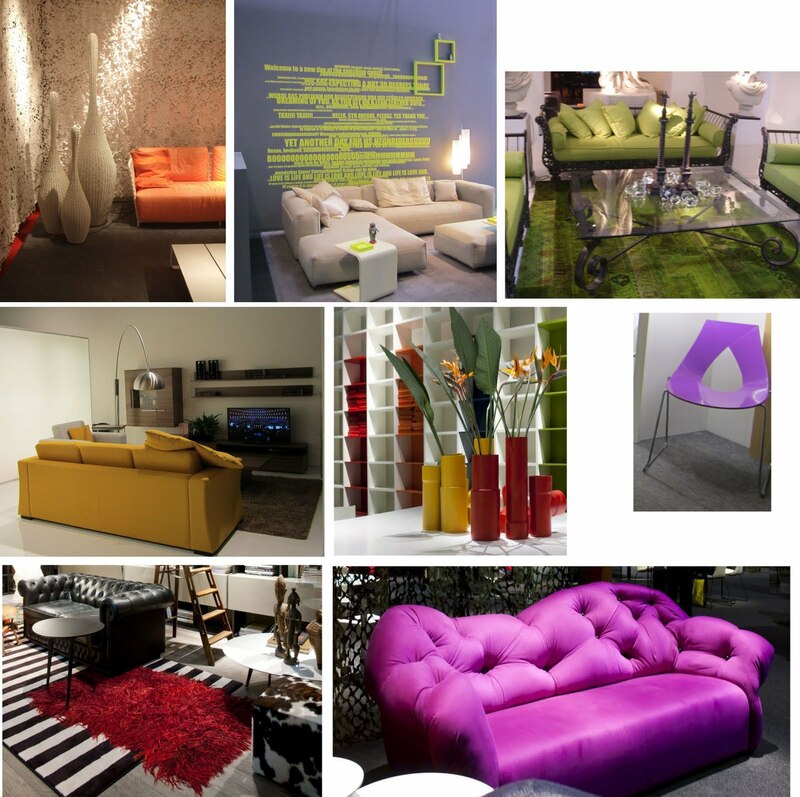 Color- big impact when used on a piece of furniture or room design. Milan this year showcased a lot more color in both fashion, furniture design as well as lighting. Notice how color, texture and lighting are mixed together to create features and focal points OR color is present simply as an accent, sure to change the look of any room! The Designjuction event was a hit! as British furniture brand Modus, amongst others, launched few new products. One of these is part of a collaboration between Studio KG and Velcro (still under development). It is a modular partition system with shape and size flexibility- a kit of different length tubes wrapped in strips of Velcro makes quick room dividers custom designed by... You! Lighting- was one of my favourite part of the show this year. 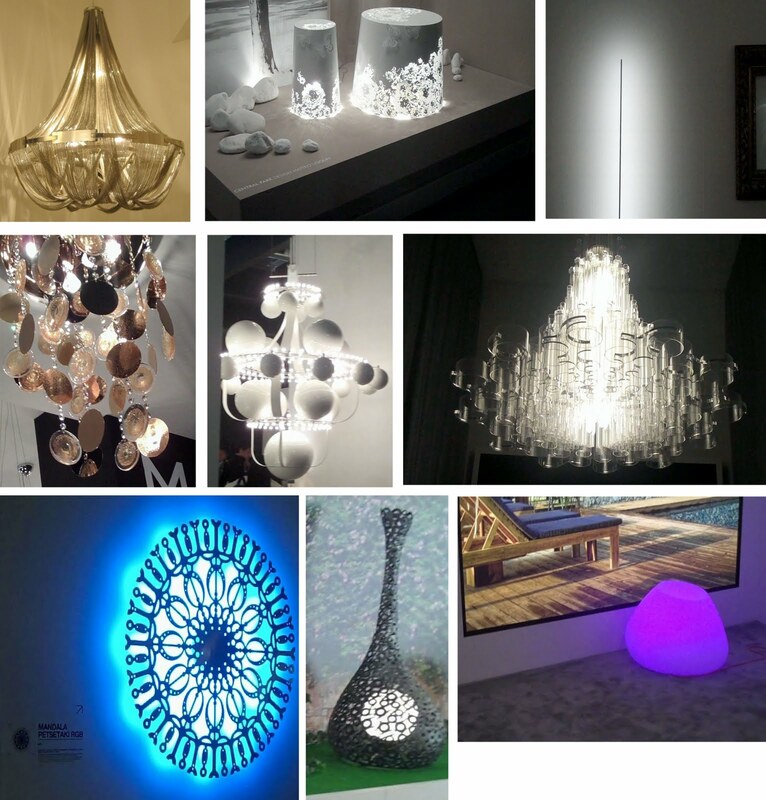 Jewellery and lighting design went hand in hand for the past few years, but this year chandeliers were simply exquisite. I also loved the Mandala light fixtures!! Foscarini offered a visual & auditoria feast of their products at Superstudio through a theatrical display of light fixtures, which created an impressive atmosphere of colour and light. In an extremely theatrical setting vibrant light sculptures stand out in space like gigantic monuments. The lamps in the collection -- repeated, rotated and repositioned -- will be multiplied to present the nature of every model in a crescendo of emotions. This is Metamorphosis, the Foscarini installation at Fuorisalone 2011, in the Superstudio Più spaces. Watch this video!